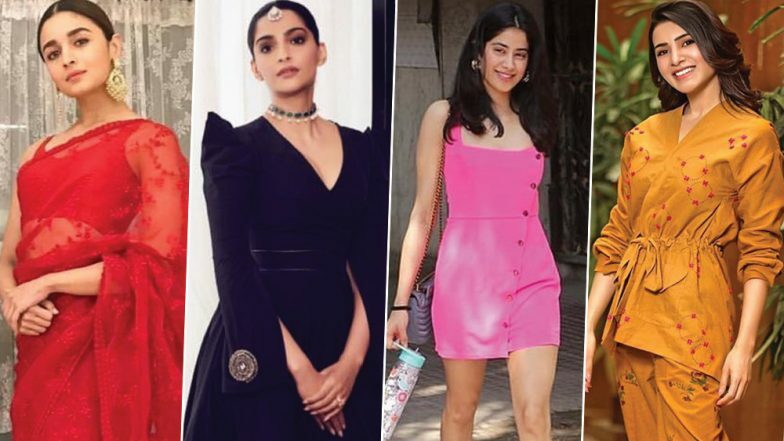 This week's list of sartorial divas include some popular names like Alia Bhatt, Sonam Kapoor, Janhvi Kapoor and Samantha Ruth Prabhu. With style offerings as impressive as theirs, it's not really a task to go hunting for best-dressed celebs. Slaying comes naturally to them and they rarely fail to strike any chord with us. On days when their acting meter is enjoying a nap time, their style one records the most number of points. We personally adore Samantha for her peculiar choice of attires that match her bubbly persona. To elaborate a bit more on her and others, let's quickly go through their individual style file and where they went right. 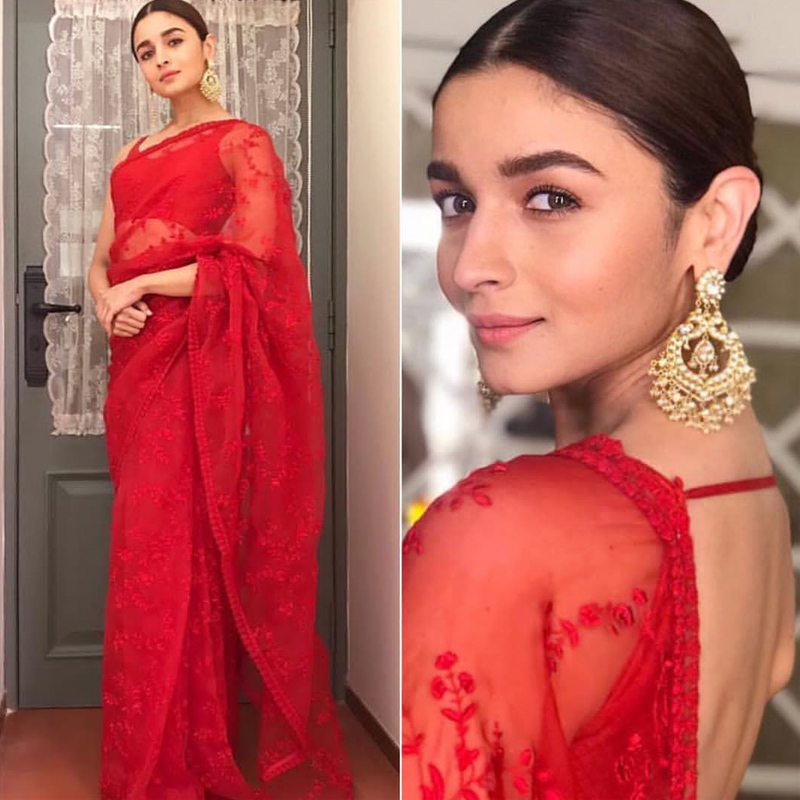 Alia Bhatt Rocks a Red Sabyasachi Saree As She Attends the News18 Reel Movie Awards. Alia Bhatt is busy receiving accolades for her role in Raazi these days. After bagging Filmfare award for the Best Actress, the actress was present to collect the honour at News18 Reel Awards 2019. Dressed in a chic Sabyasachi Mukherjee red embroidered saree with golden statement earrings, she ruled the red carpet and how! 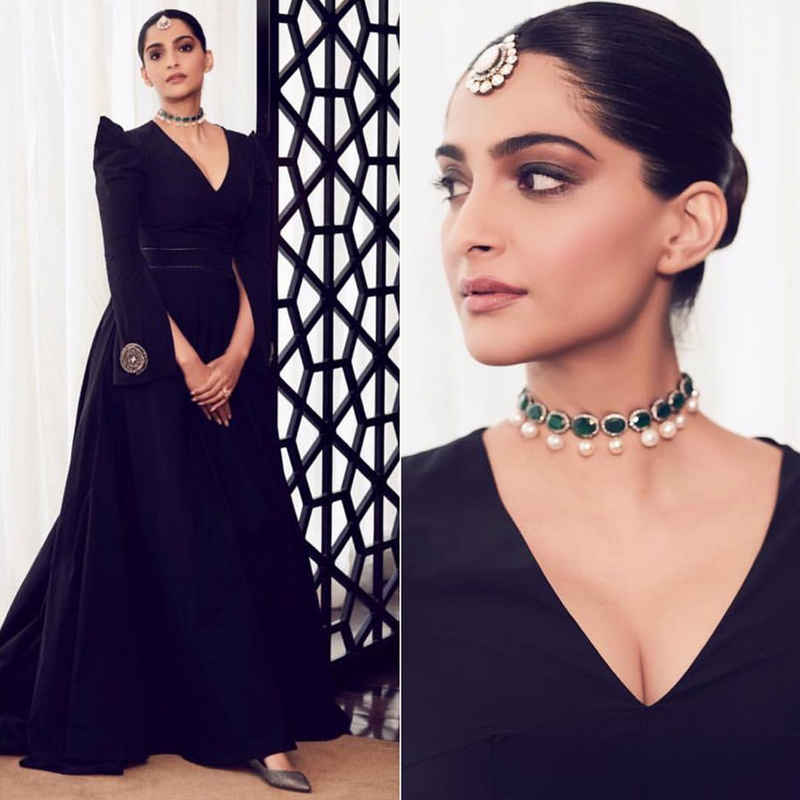 Sonam Kapoor's love for fashion cannot be even and there's a reason why she's tagged as the fashionista of Bollywood. From experimental silhouettes to a wide range of colour palettes and fusion clothing - she has been there, done that. The recent black Marmar Halim gown with dramatic sleeves, paired with emerald jewellery is simply STUNNING. Period. Hot Expensive! Sonam Kapoor Gives Major Summer Style Goals in This £5,360 White Danielle Frankel Shirt Gown (View Pics). Janhvi Kapoor is trying hard to match her sister Sonam in the style department and trust us, she'll succeed her very soon. The classic pink mini dress that she picked for Anil Kapoor's wife, Sunita Kapoor's birthday bash is a must-have for summer and the refreshing colour just makes the entire outfit look even more refreshing. 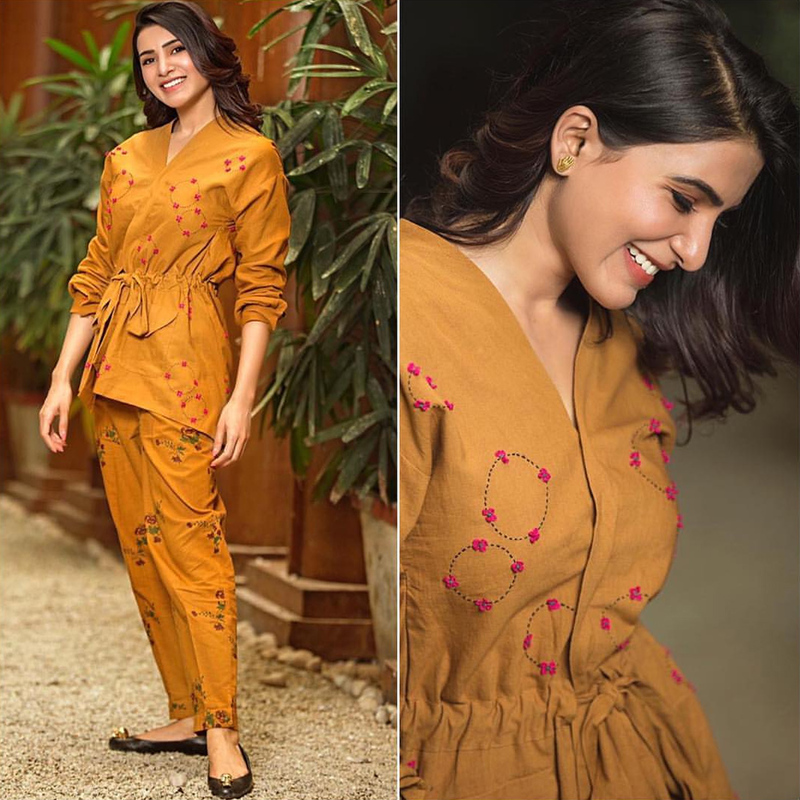 The mustard coloured embroidered separates by Kanelle are cute and we are totally digging it. It perfectly accentuates Samantha's svelte figure and we can't help but wonder about how gorgeous she looks in such a basic attire.